The U.S. Army has selected three companies to make insulated overboot prototypes as potential replacements for the outdated Extreme Cold Weather Boot. "The current Extreme Cold Weather Boot (ECWB) has remained largely unmodified since the 1960s and utilizes outdated technology and manufacturing processes which are no longer available within the U.S.," according to a recent special notice on FedBizOpps.gov. "Additionally, the ECWB is heavy, bulky, and difficult to pack/carry when conducting dismounted operations." To find a replacement, Army equipment officials plan to buy 150 pairs each of insulated overboots from Wiggy's Inc. of Grand Junction, Colorado; Outdoor Research of Seattle, Washington; and Original Footwear Co. of Stockton, California. "Firm fixed-price contracts are anticipated," according to the notice. Army equipment officials "will commence an effort to evaluate insulated overboot solutions with the potential to offer similar environmental protection at reduced weight/bulk," the notice states. "This improved solution will be called the Extreme Cold Weather Overboot (ECWO)." 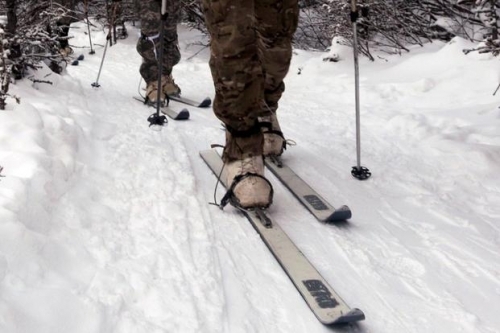 The Army has made progress in updating soldier cold weather gear. More than a decade ago, the service fielded the Gen III Extreme Cold Weather Clothing System, or ECWCS. The seven-level system offers options from base layers to an extreme-cold jacket and pants featuring man-made high-loft insulation. The system is designed to go down to minus-60 degrees Fahrenheit. But finding a replacement for the Extreme Cold Weather Boot has been a challenge. Three years ago, the Army began looking for a replacement, but the effort was unsuccessful.